After a recent (2016) corporate reshuffle Titan Casino is now owned and operated by Universe Entertainment Services Malta Limited, and licensed and regulated by the Malta Gaming Authority (formerly regulated by the Directorate of Offshore Gaming of Antigua and Barbuda). 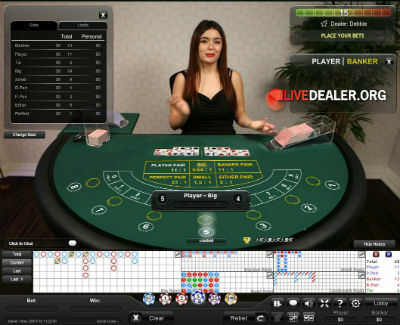 Titan’s games (both regular and live dealer) are powered by Playtech. Playtech claim to be the largest publicly traded casino software company in the world by market capitalization and count over 100 licensee casinos as customers including names like William Hill, bet365 and BetFred. Casino game payout percentages, including live casino games, are audited and certified by TST Inc. Available in Flash/browser casino or download casino. 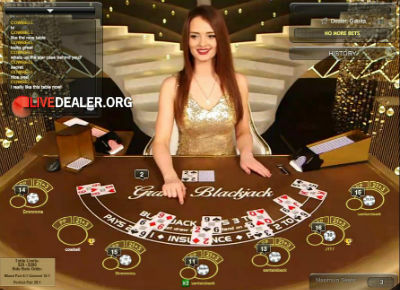 Classic 7 seat multi-player blackjack. Blackjack pays 3:2, dealer stands hard and soft 17, new deal starts 20s after previous game. Choose from Grand (pictured), Royale or Lounge blackjack tables. Play in full screen (pictured) or small screen mode. 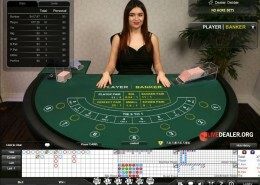 European or French live roulette. Offering standard European/French table roulette bets, odds and payouts, including easy access to bet racetrack for neighbour bets. You’ll need to download Titan’s casino software to play this game (ie not available as a Flash/browser game). It’s a player versus the house poker game. 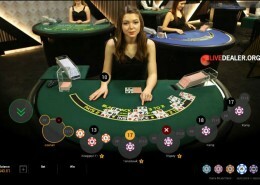 Playtech’s live games are great fun to play…irrespective of the casino you’re playing them at. You may find Titan (and indeed all of the Imperial E-CLub casinos) a little ‘in-your-face’ with pop-up windows reminding you to ‘deposit now‘, ‘take advantage of this or that offer ‘ etc. Playtech live dealers…va va voom!